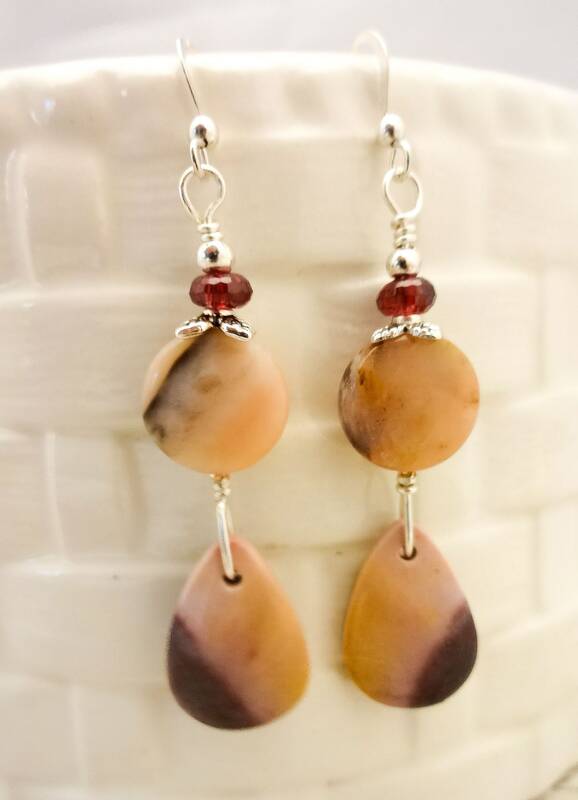 So pretty in pink! 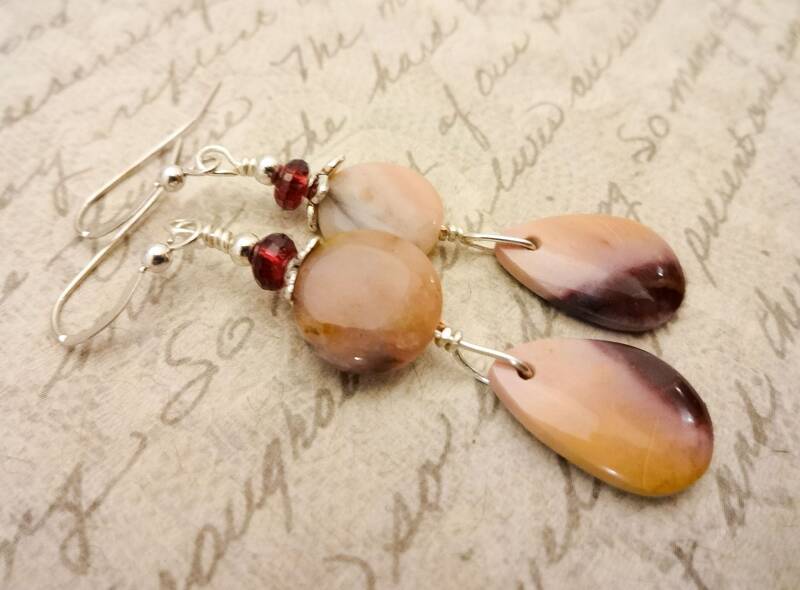 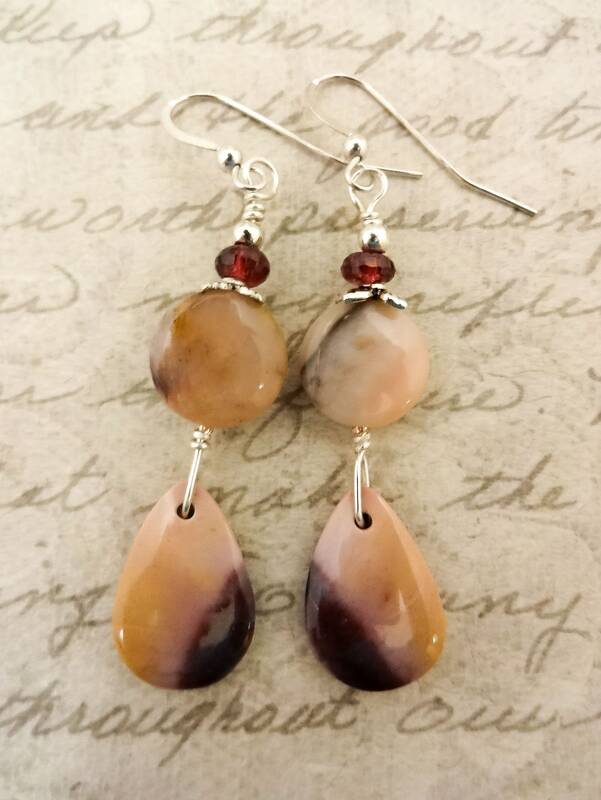 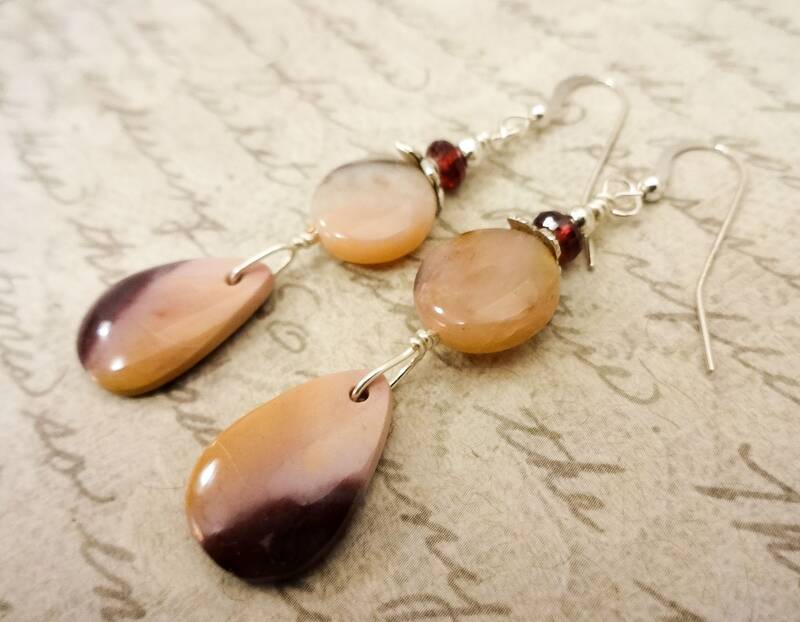 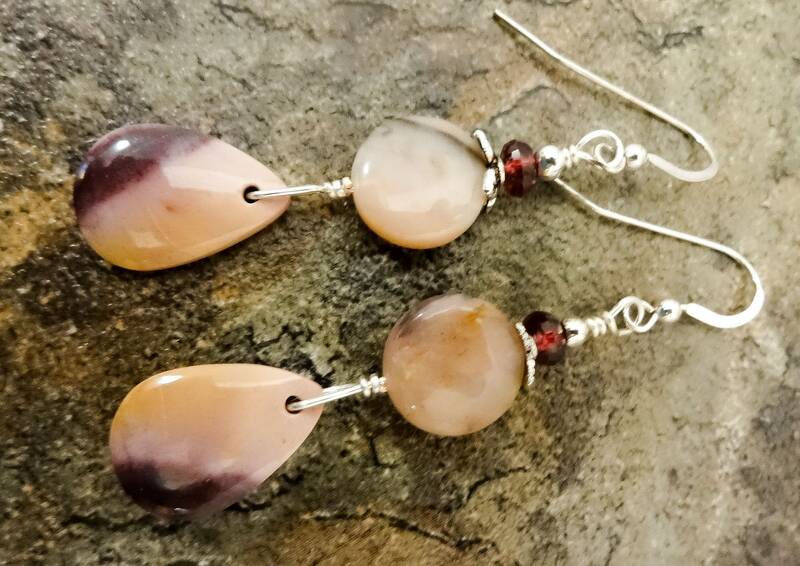 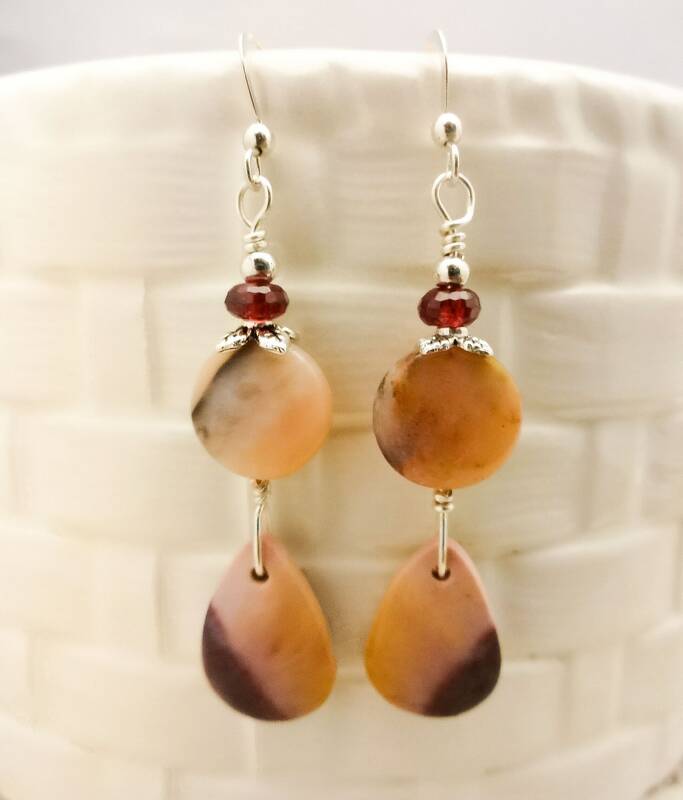 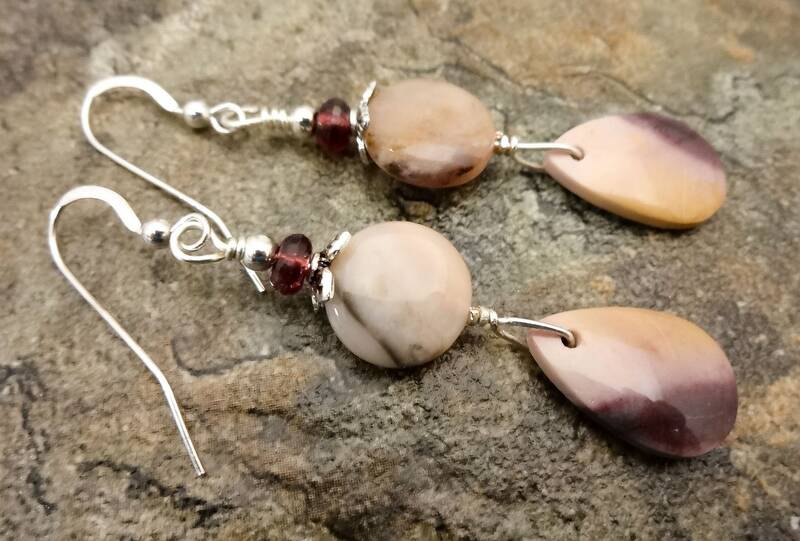 From the teardrop Mookaite gemstones to the coin-shaped Pink Peruvian Opals, these earrings feature a dusty soft feminine pink with a touch of blood red garnets on top. 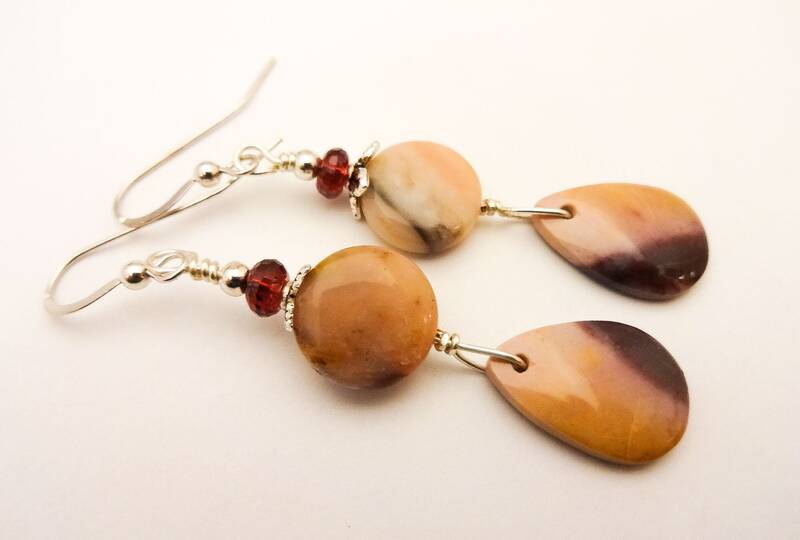 The Mookaite drops include splashes of purple and yellow, just enough additional color to make them unique. 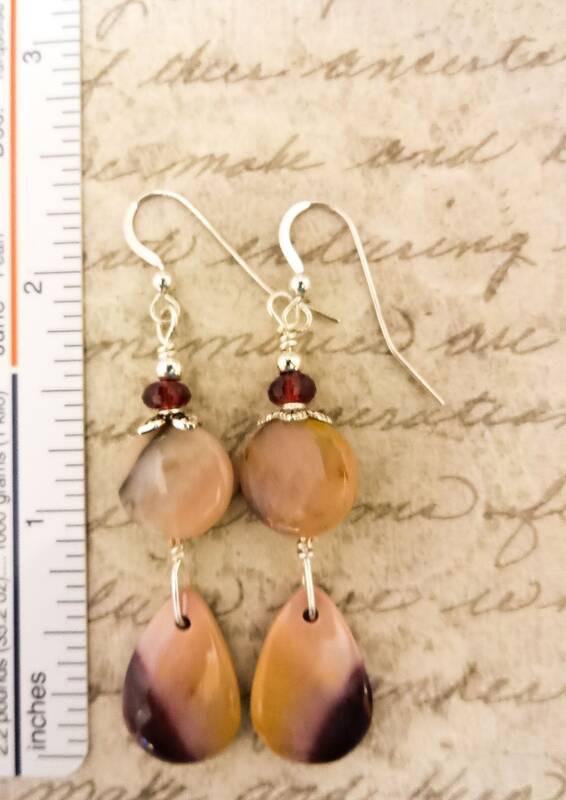 Total earring length from the top of the wires to the bottom of the stone is 2-3/8 inches as shown in the last photo.